Podcasting, digital innovation and promotions are highlights in the second speaker announcement for James Cridland and Matt Deegan's radio ideas conference - Next Radio. Tom Webster, Vice President Strategy and Marketing for Edison Research in the US, will be sharing the company’s research into how listeners are using their mobile phones to consume audio content, including podcasting. 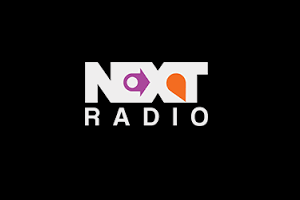 Iain Lee and Kathryn Boyle make a welcome return to Next Radio, with a new insight into late night radio at national digital station talkRADIO. Promotions guru Paige Nienaber, who has worked with hundreds of radio stations, making sure they’re the ones everyone’s talking about, will also be at the event. Andrew Bailey, Senior News Editor from Sky News, reveals the differences between television and radio. Floris Daelemans, Digital Radio Innovator from Belgian broadcaster VRT, and Ann Charles, the radio production and technology consultant, are also confirmed as speakers, joining Australian talent coach Craig Bruce, Julia Hayball from the University of Gloucestershire, Sam Potts the Head of Radio Promotions at Columbia Records, international radio consultant Francis Currie, Chloe Straw - the Executive Producer at Somethin’ Else for the BBC’s pop networks and Bob FM’s Programme Director/Breakfast host Graham Mack. The event, back for its sixth year, is designed for people who make radio, or products for radio, to inspire them with new creative ideas and developments in the medium. Next Radio is on 19th September at the Royal Institution in London.